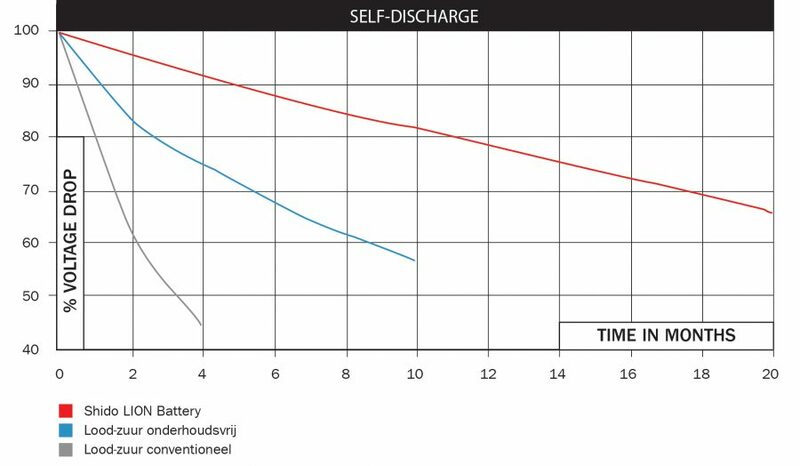 A lead-acid battery loses voltage relatively quickly through self-discharge when not using the motorcycle. After a winter the battery doesn’t have sufficient capacity left to rotate the starter. This self-discharge is very low for a Shido Lithium battery. Even after 2 year not using your motorcycle you still can start the engine. Note: Hidden power consumers such as alarm systems can discharge the battery much faster than only through the self-discharge. Typically for a lead-acid battery is the decrease of capacity in the course of time. 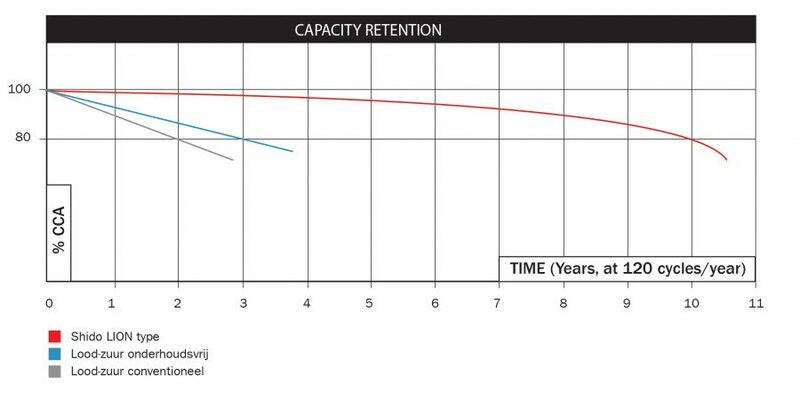 A new lead-acid battery has a higher starting power than a battery pack that is already several years old. The starting current of a Shido Lithium remains all his life at a high level which guarantees you a smooth start for a very long time. It is generally assumed that a battery must have at least 80% of its original capacity to be able to start the engine.